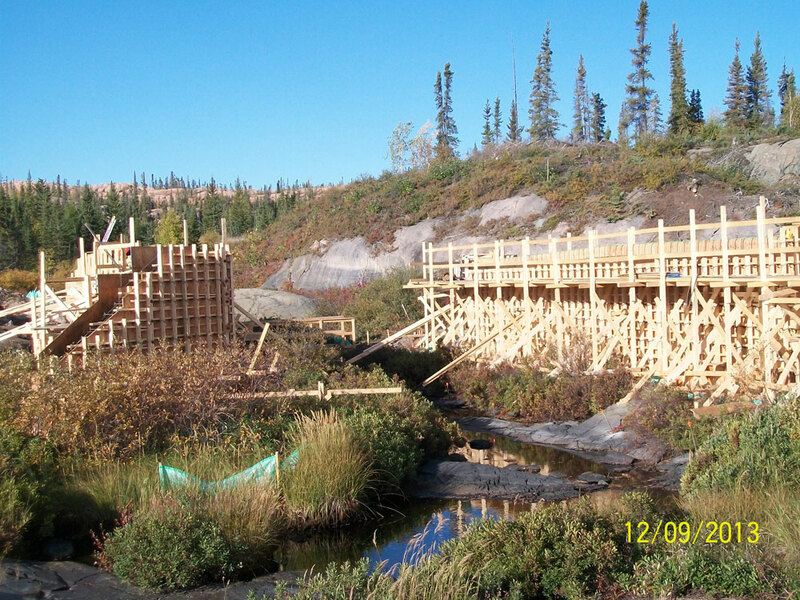 Det'on Cho Nahanni works on challenging bridge project near Giant Mine. The NWT Highway 4 bypass road was built to reroute traffic away from the Giant Mine remediation site near Yellowknife, NT. 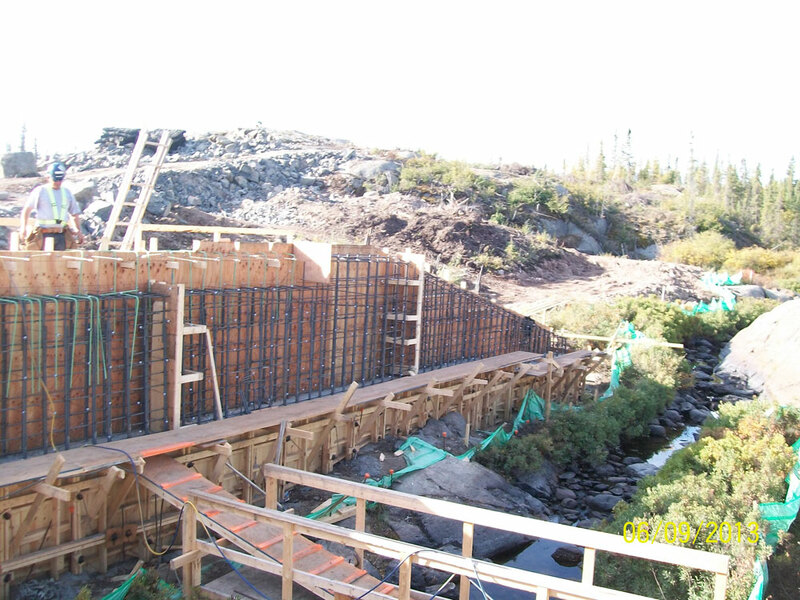 As a part of the new road, Nahanni Construction provided excavation, drilling, concrete, and labour on a bridge spanning Baker Creek. 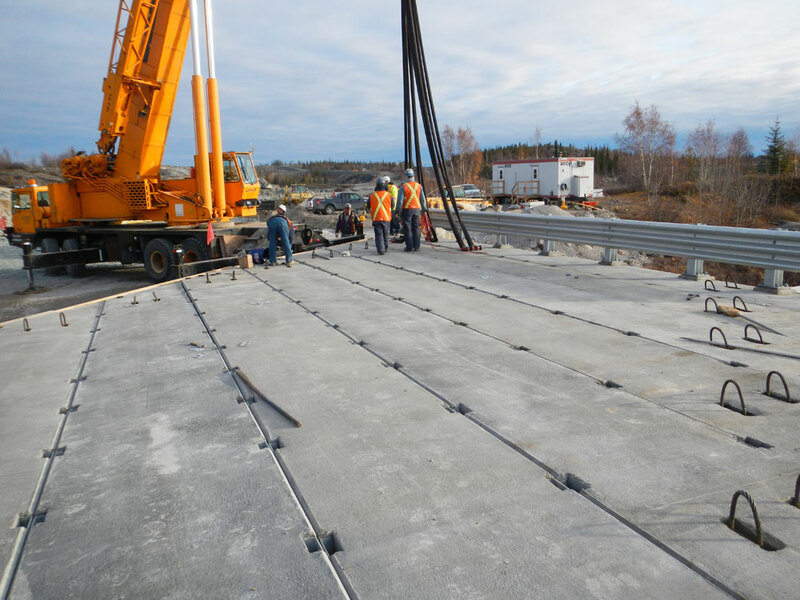 With an aggressive timeline to finish the bypass road involving a number of different contractors, completing the bridge in a timely manner was necessary to facilitate the transport of equipment and materials safely and efficiently to other areas along the planned route. With most of the work scheduled to take place during the winter months, our team would need to make sure all precautions were taken to ensure worker safety. The new route called for a challenging design: the bridge would cross Baker Creek on a 45 degree angle using pre-tensioned concrete girders. With environmental protection a chief concern for this project, Nahanni needed to make sure that its work would not negatively impact the creek’s ecosystem. Nahanni staff underwent specific training on how to operate under strict environmental regulations to preserve the natural habitat of the creek and to protect it during construction. 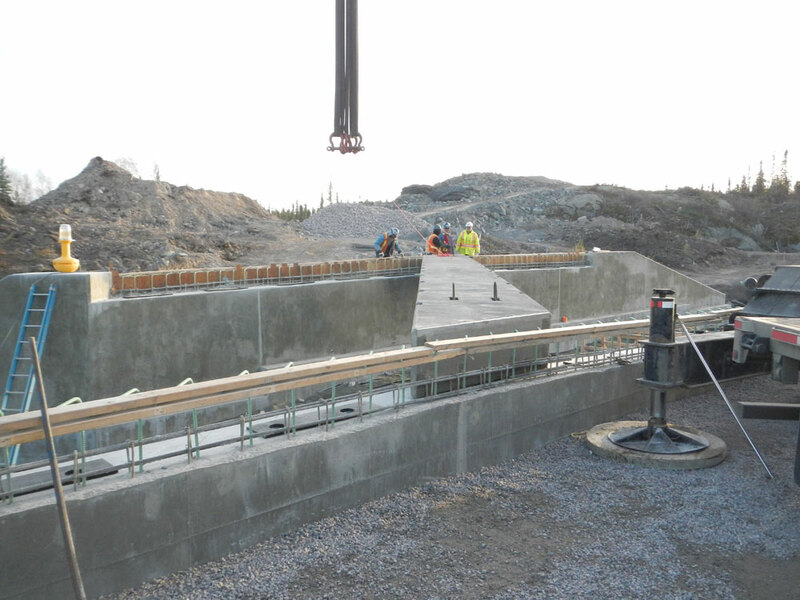 To keep the project on time, Nahanni management met with the lead contractor daily to plan work activities that avoided conflicts with the ongoing road work near the bridge site. 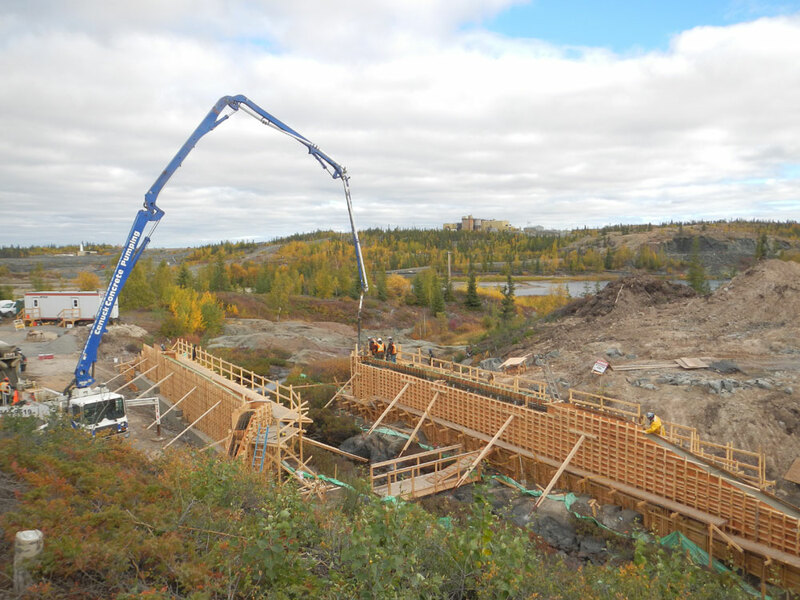 Nahanni’s experienced staff collaborated with engineers and sub-contractors to implement the best bridge design and construction methods for this demanding project. Crews also operated with proper safety equipment and established warming facilities on site, while managing the limited site resources for power and shelter. Baker Creek attracts many types of wildlife. Crews had many wildlife sightings and implemented measures to minimize disruption of their natural habitat. The bridge design demanded creative solutions as it crossed the creek on a 45 degree angle using pre-tensioned concrete girders.